While I generally like furniture to be neutral, I am a lover of all things colorful when it comes to textiles (think bold pillows, bright rugs, patterned curtains, etc). Right now we have this black and white striped "Rand" Ikea rug in our living room, and these rugs from Decorative Carpets are so much fun. 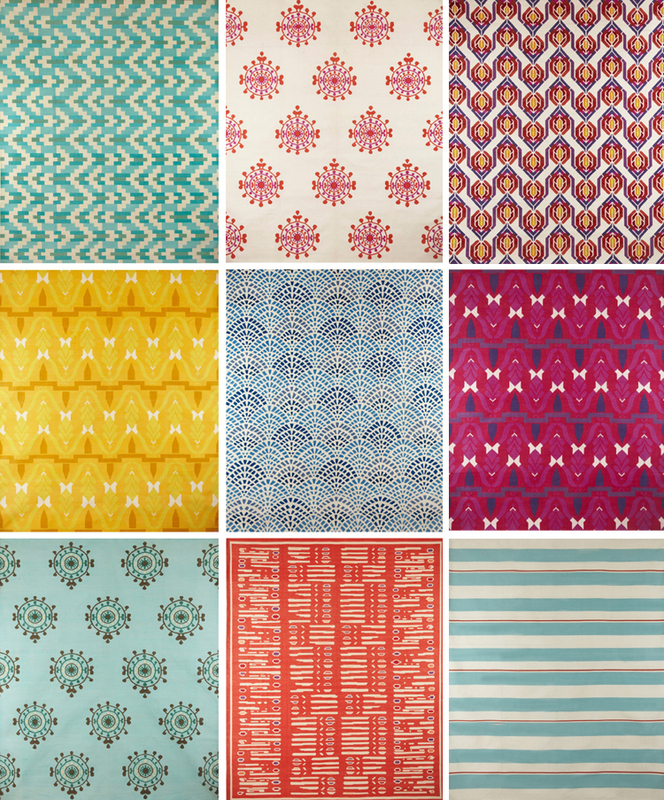 A splash of any one of these lively patterns from the Mar a Mar collection will surely wake up any interior.